This is a very well known photograph of Mahatma Gandhi himself. Who was Gandhi you ask?... Gandhi was born in 1869 on October 2nd. He is famous for the Salt March of April-May 1930! Gandhi had two brothers, one sister, and out of all three siblings he was the youngest. He was married to Kasturbai Makhanji. Then he had five children but, one died a few days after birth. Gandhi ended his life while making a speech, and all of a sudden was shot. As I was saying Gandhi was born in 1869 on October 2nd. He had two brothers and one sister. His father was a chief minister, and his mother was very religious. When Gandhi was thirteen he married fourteen year old Kasturbai Makhanji in May of 1883. After the marriage his wife stayed at her parents house because, it was a part of the arrangement their parents had made. At the age of fifteen he had his first daughter but, she died a few days later. Then a few years later he had his first son. When Gandhi was thirteen he married Kasturbai Makhanji. Two years later they had their first child but, she died a a few days later after her birth. Then a few years later they had their first son. After the first son there where three more. So Gandhi ended up with four sons and not a single daughter. His wife was older then him by one year. But Gandhi was thankful for his wife and four sons. Gandhi died January 30th, 1948 at the age of seventy-eight. He was shot while making a speech at a prayer meeting in the garden of former Gandhi Smriti. Nathuram Godse was the person who shot him with a pistol. When Gandhi was shot he was with his grandnieces. A Hindu tradition is if someone dies then, their ashes are spread in a river so, Gandhi's ashes where spread in a river. 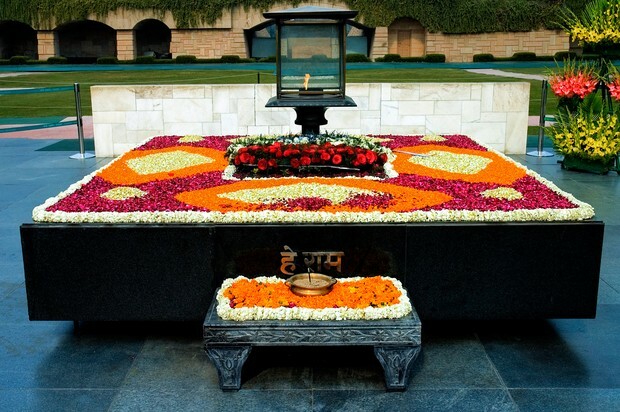 This is the exact place where Mahatma Gandhi was assassinated. For more additional information about Mahatma Gandhi and his life you can go to https://en.wikipedia.org/wiki/Mahatma_Gandhi. Also http://www.history.com/search?q=mahatma%20gandhi. 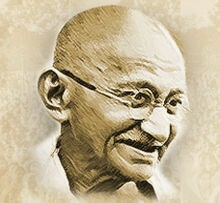 Another website you can go to is http://www.biography.com/search/mahatma%20gandhi. So, if you go and check out some of the websites listed above then, you will find out more about Mahatma Gandhi. Last thing that I thought I might put is that he is very famous for his quotes. "Gandhi." Bio.com. A&E Networks Television, Jan.-Feb. 2004. Web. 24 Nov. 2014. "History about Gandhi." History.com. A&E Television Networks, Mar.-Apr. 2003. Web. 24 Nov. 2014. "Mahatma Gandhi." Wikipedia. Wikimedia Foundation, 16 Dec. 2006. Web. 24 Nov. 2014.